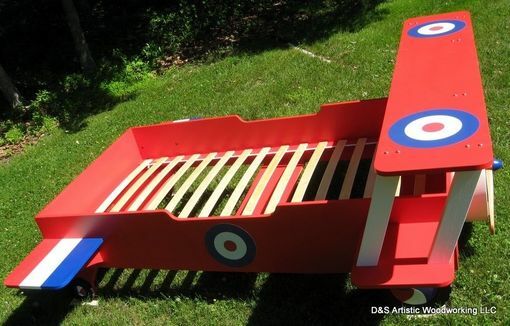 This bed is designed for a child's Snoopy & Red Baron themed bedroom. 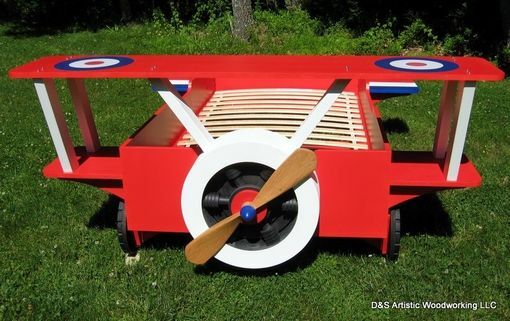 The bed is inspired by an English WWI Sopwith Camel, and features biplane wings, brightly colored wheels and a detailed nose cone. The wheels serve as the legs for the bed and do not turn. The propeller also is fixed in place to avoid potential injury to the child. 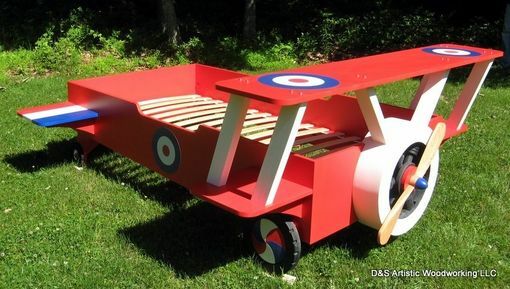 The bed is made of hardwood plywood for the frame and wings, MDF for the round nose cone, cherry engine cylinders and a carved oak propeller. We couldn't find an appropriately sized propeller for this bed, so we made one ourselves! The slats are the Ikea sprung Sultan Luroy model, which provides nice support for the mattress without the need for a box spring. The bed is painted with latex semi-gloss enamel. We designed this bed based on a general description from a designer. This will go into a show house, but it is sturdy and safe enough for everyday use in a child's bedroom. It is made to be disassembled and crated for delivery (this one went almost all the way across the country). 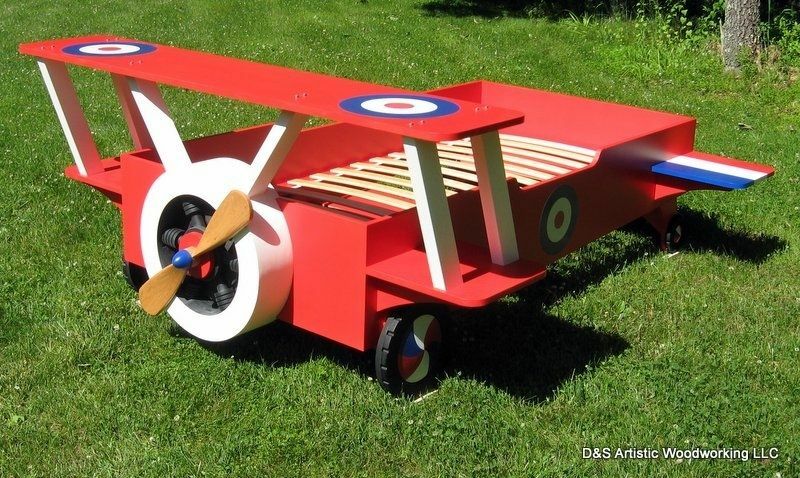 We can make an imaginative bed like this for your child, too! Tell us your concept, and we'll put together design drawings and work with you to finalize the perfect bed. For another example, please see the pirate ship bed on our Maker page.